We have the world’s sympathy with folks that suffer from eczema. The itching, the scratching cycle, and then the utter discomfort that this horrid skin condition brings to the table is something that’s hard to understand unless you’ve dealt with the dreaded E before. 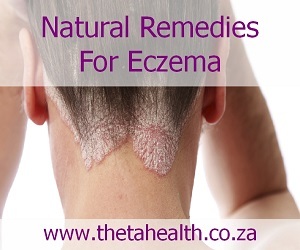 While it can be caused by hereditary factors, a lack of proper nutrition in the diet, and even exposure to harmful chemicals are a few causes of Eczema. The skin condition causes inflamed and discoloured skin. Since eczema causes the dermis to produce fewer oils and fats, those that suffer from eczema often find that their skin doesn’t have the ability to retain water. The best way to treat eczema seems to be an approach that helps strengthen the skin’s barrier. By using simple natural products, you’ll be able to fight dehydration of the skin and also helping to prevent further inflammation that leads to even more itchiness. When you’re suffering from eczema, there are intercellular spaces in your skin that are the root cause of dehydration. Since coconut oil has the ability to penetrate deep into the dermis, it can help fill those gaps and keep the skin moisturized. You can apply coconut oil to affected areas of the skin throughout the day as needed. Coconut oil is a wonderful natural treatment for eczema, but we know that it might not do the trick for everyone, which is why you should try going the Jojoba route if you’re not seeing real results from using coconut oil. Jojoba oil penetrates deep into the skin, and since it resembles the makeup of human skin sebum (oil), it can quickly and effectively help restore lost moisture levels in the skin. You can apply a little Jojoba oil to affected areas of the skin by gently massaging it in. The idea of soaking in an oatmeal bath might sound a little unpalatable, to say the least, but it can change your world if you’re suffering from the discomfort of eczema. Oatmeal has anti-inflammatory properties, which means that it can help relieve itchiness and soothe irritated skin. To prepare an oatmeal bath, you’ll need to pour 1 cup of uncooked oatmeal into a muslin or cheesecloth and then tie it off securely, forming a bundle. Tie the long piece of material around the faucet and then run a bath. Once the water is milky and smooth, it’s time to hop in. Make sure you allow yourself at least 15 minutes of soaking time before getting out and patting your skin dry. Raw, organic honey has anti-microbial and anti-inflammatory properties, which means it can help speed up the skin’s natural healing process. It’s also a humectant, which means that it draws water into it, so it can assist the skin in retaining moisture levels. Don’t apply raw honey to large areas of your body because you’ll end up feeling sticky and seriously uncomfortable, but do go ahead and dab some of it on small areas of affected skin to soothe and moisturize. After applying the honey to the skin, you’ll need to let it “breathe” for about 20 minutes before rinsing off with cool water and then patting your skin dry. You can use this method up to 3 times a day. Coffee scrubs have become extremely popular in the past few years. The caffeine in the coffee is an antioxidant while the fine grains can help to remove dry and flaky skin. Simply add 3 parts finely ground coffee to 1 part oil (Jojoba or Coconut are both good options) and gently massage the mixture onto trouble spots. Help! These Methods Aren’t Working! The natural ingredients we just highlighted can help you treat and get rid of eczema, but it might take a few days to start improving the texture of your skin. We totally get that you might be in serious need of itch relief, which is why we have a handy little recipe for a butter that’ll soothe and smooth things out! This healing body butter packs a mighty fatty acid punch, which means that it works hard at repairing damaged skin. It will assist your skin’s natural healing process and also help soften up dry skin. You can also use this homemade body butter to spot-treat inflammation. 1. Get out a double boiler and then melt the beeswax and Jojoba oil down before adding the coconut oil. 2. Go ahead and lower the heat a little and then add the Shea butter. Oh, and you want to keep stirring the mixture continuously to make sure everything mixes evenly. 3. Once everything is combined, remove the pot from the stove and then add a few drops of essential oil if you prefer. 4. All that’s left to do now is to transfer the mixture into the container you selected, and then give it some time to cool down. 5. You can use this balm as often as required, applying it liberally to the areas of affected skin to provide you with immediate relief. We’ve just shown you 5 natural ingredients that can help you get rid of eczema without the need of visiting the drug store for chemical cures. We’ve also shown you how to mix up your own healing body butter to help you spot treat affected areas of skin. At the end of the day, taking great care of your skin shouldn’t only be an external approach. By using these remedies along with a balanced, nutritious diet, you should be able to ban eczema for good!